Learn how the creative collaboration and problem-solving of stop-motion animation and video are the perfect additions to your school’s makerspace or STEAM curriculum. From aperture to frame rates, students innovate, design and construct knowledge with this STEAM approach. This inspiring webinar will share projects developed by the Jacob Burns Film Center that you can successfully implement in your classroom to empower student learners to be innovative designers. 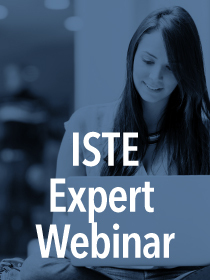 This ISTE Expert Webinar is presented by Michele Haiken and Emily Keating of the ISTE Literacy Network.